The WD750 VMS DB (Vessel Monitoring System) is a dual mode Iridium® Satellite (SBD) and GSM/GPRS platform designed to provide near real-time position reporting, and offers a cost-effective messaging, e-mail and Activity Code Declaration and Catch & Notification Forms reporting solution. The Faria Beede WD750 VMS is Type Approved as an MTU, E-MTU, by the National Marine Fishery Service for all fishery regions and is built to meet the demanding requirements of the commercial fishing industry. Extensive & Reliable Worldwide Satellite & GSM Cellular Network Coverage. The WD750 VMS is the only Type Approved dual-band system that uses an extensive network of low-Earth orbit satellites as well as GSM cellular networks. This ensures that your connections are not only reliable, but affordable, and that you meet NMFS reporting requirements. The WD750 VMS DB uses the Short Burst Data (SBD) services on the Iridium® satellite network as the primary mode to send position reports. The Iridium® constellation consists of 66 low-earth orbiting (LEO), cross-linked satellites plus 10 in-orbit backup satellites. The constellation operates as a fully meshed network and is the largest commercial satellite constellation in the world. The U.S. Department of Defense relies on Iridium® for global communications capabilities. 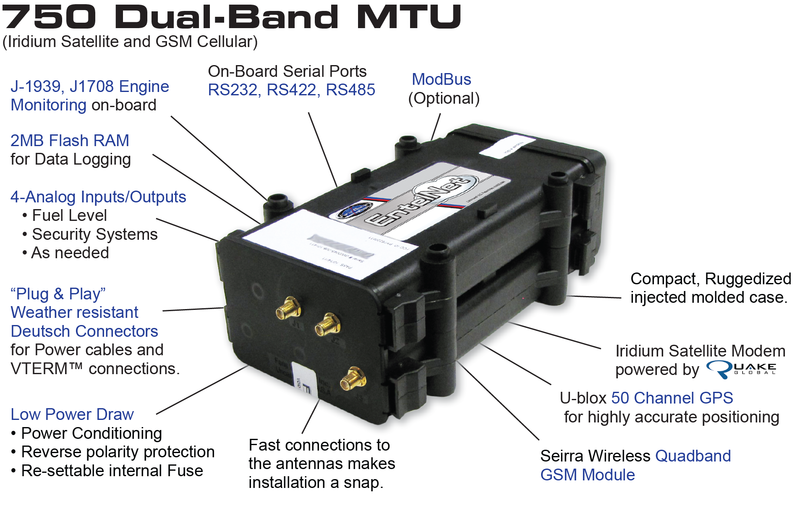 The WD750 VMS MTU defaults to the General Packet Radio Service (GPRS) data services on the GSM network if Iridium® service is not available. We use AT&T® the largest wireless company in the US with more than 54 million subscribers and offers a GSM /GPRS foot print across 100% of its service area. Perfect for any sized boat! This system has a low power draw, a compact size (only 9" X 4-5/8" X 3") and is easy to install, making it perfect for any size boat. The Faria Beede MTU provides 24-hour a day, 7-day a week, 365-day a year monitoring of your main and back-up batteries and shows the precise location of your vessel as well as a history of all your position reports via a secured log-in at www.vmstracking.com. Connect with GSM Cellular and Iridium® Satellite Networks.